Fearon, the Emanuel N. Maisel Professor of Oncology, is a nationally recognized investigator in cancer genetics whose research has led to a greater understanding of gene defects that cause colon and rectal cancer to develop and spread. “Our Cancer Center has a history of success. … I am honored to have the opportunity to continue moving us forward,” said Fearon, professor of internal medicine, of human genetics and of pathology at U-M.
“We are in the enviable position of having a tremendous culture of collaboration, innovation and teamwork. Our faculty, staff and trainees are committed to the highest quality, patient-centered care,” he added. Fearon joined U-M in 1995 and was appointed associate director for basic science research at the Cancer Center. There, his role expanded in 2005 to deputy director. He also served as division chief for molecular medicine and genetics within the Department of Internal Medicine. “Dr. Fearon has been intimately involved in many of the Cancer Center’s strategic initiatives over the past two decades. … I’m confident Dr. Fearon will build on our cancer program’s excellent reputation. 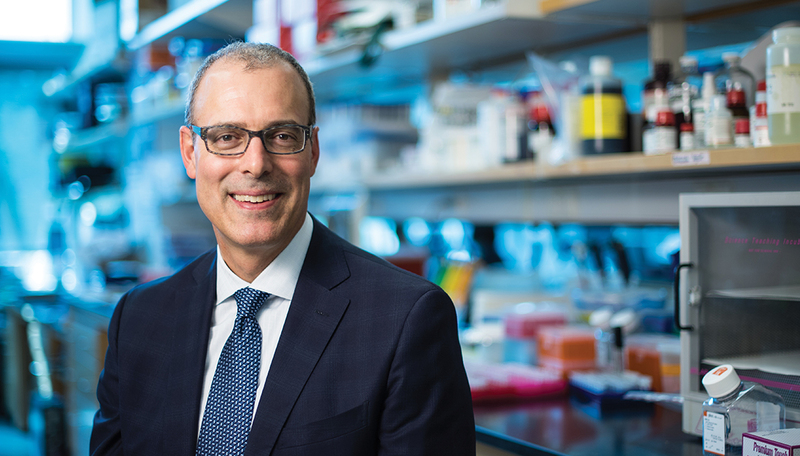 We will continue to advance the understanding of cancer’s origins and behavior, and translate that knowledge to improve treatment, survival and quality of life for patients and families facing cancer,” said Marschall Runge, M.D., Ph.D., executive vice president for medical affairs and dean of the U-M Medical School. The Cancer Center also appointed four new leaders to oversee the direction and operation of its research enterprise: Pavan Reddy, M.D. (Fellowship 2001), deputy director; Alnawaz Rehemtulla, Ph.D., associate director for shared resources; Anne Schott, M.D. (Residency and Fellowship 1996), associate director for clinical research; and Stephen J. Weiss, M.D., associate director for basic science research. Fearon succeeds Ted Lawrence, M.D., Ph.D., who stepped down as Cancer Center director to continue his role as chair of the university’s Department of Radiation Oncology, which he has held for 18 years.